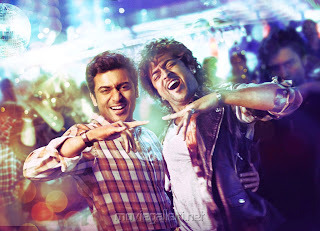 KV Anand has just pulled the rabbit out of the cat with the trailer of his upcoming Tamil movie Maatraan and revealed the roles played by Surya in the film. Well, the Ghajini star will be seen in the dual roles of Siamese twins or conjoined twins - whose bodies are attached together where they both do their activties like sleeping, working etc., together. The trailer shows the dual roles played by Surya having fun all the way. While he has a clean-shaved look for one character, the other role has sported a bearded look. Both the avatars of the actor are strikinging and attractive. The most interesting part is that as their bodies are attached together, they fight, eat, dance and romance together. 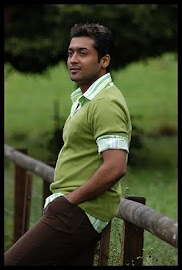 Maatraan directed by KV Anand is a high-voltage action film starring Surya and Kajal Aggarwal. Sachin Khedekar, Ravi Prakash, Thara and Vivek are in the cast. The movie is expected to release in September and the audio of the film will be reportedly releasing on July 23 for Surya's birthday. MANY MORE HAPPY RETURNS OF THE DAY!!!!!!!! !